Provide patients with appropriate care for epilepsy through effective partnerships. Partnerships and collaborations enabling stakeholders from different sectors (public, private, NGOs, universities) to join forces. Training for front-line healthcare professionals in diagnosis and treatment of epilepsy. 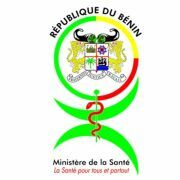 Efforts to combat stigmatization by informing communities about the medical causes of epilepsy. 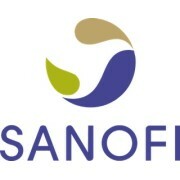 Preferential pricing policy, including "no-profit no-loss" prices, to help make medicines accessible to the poorest. 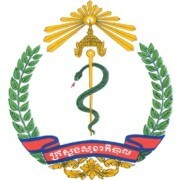 The Ministry of Health is the government ministry responsible for governing healthcare, the healthcare industry, public health and health-related NGOs in Cambodia. 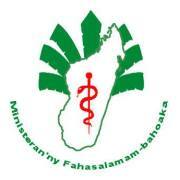 The Ministry governs and regulates the activity of medical professionals, hospitals and clinics in the country. 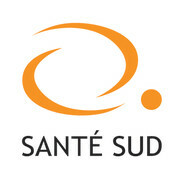 It maintains 24 provincial health departments, and its main offices are located in Phnom Penh. 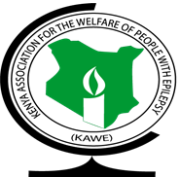 The Kenya Association for the Welfare of People with Epilepsy (KAWE) is a non-profit making organization that comprehensively targets and addresses issues of people with Epilepsy. KAWE focuses on creating awareness and education on epilepsy. KAWE is committed to addressing the needs of people living with epilepsy in a holistic and integrated manner. KAWE was established in Nairobi, Kenya in 1982 by Mrs. Caroline Pickering following an interest developed after her daughter was diagnosed with epilepsy at the age of 12. In close collaboration with Dr. Osman Miyanji and the then director of Agha Khan Hospital and Community Health Workers, KAWE started its first clinic in Mathare slum. Mrs. Pickering was later joined by Dr. Nelly Dekker, a volunteer doctor who managed the provision of medical and clinic support program. Initially, before registration, KAWE focused on creating awareness and education on epilepsy. This was done through door to door visits and production of literature and media. Following the registration of the organization in 1982, KAWE expanded its programs and included provision of medical treatment to those people suffering from epilepsy. 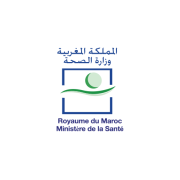 They are also conducting lobbying and advocacy, which deals with legislation and institutional level policies which affect people with epilepsy. There are about 45,000 students enrolled at the University of Catania, the oldest of Sicily, its foundation dates back to 1434. The organization of the teaching is handled today by 17 departments, by the Faculty of Medicine, and by two special didactic units established in the decentralized offices of Ragusa (Modern Languages) and Syracuse (Architecture). 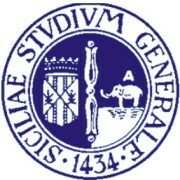 The foundation of the University of Catania, the oldest in Sicily, dates back to 1434, when the king of Spain, Alfonso of Aragon (who was also King Alfonso I of Sicily) authorised the establishment of a Studium generale with the privilege of issuing legally valid academic titles - baccellierati, licenses and degrees - in the four core disciplines of theology, canon and civil law, physical (medical) and joint philosophy, liberal arts (literature), the papal recognition arriving ten years later from Pope Eugene IV. Prior to this, the main centres of education were in Palermo, Messina and Trapani. However, none of them held the jus doctorandi or the right to grant degrees which could only be given by the Pope. In 1444, the first four faculties of Medicine, Philosophy, Canonic and Civil Law and Theology and Arts were established. Students began to attend classes in 1445, however it was not until two centuries later that the university gained its own establishment in Piazza Università. It still stands in the Piazza today, in the former grounds of the hospital of St. Mark’s. The former building was completely destroyed by an earthquake in 1693 and students were left without a place to continue their study. In the interim period before it was rebuilt, the resourceful students, unperturbed by such events and endowed with infinite determination, transferred classes to wooden huts near the harbour. The new building, designed by Giovan Battista Vaccarini, is a magnificent monument of Baroque architecture. The University of Catania was not only structurally powerful. It also held the exclusive right by Royal Decree to grant degrees within the Reign of Sicily. Although the hierarchical power of the university was in the hands of the Church, the Rector, an elected student in his last year of studies, had the power to put students on trial. 25 Chimes of the Cathedral bell marked the beginning of the academic year. Throughout the year, a porter marked daily any professor absence. The figures were then taken to a notary who subtracted a day’s wages from their pay. At the end of his studies, a student was awarded his degree in the Cathedral as well as a gold ring and a blessing from the Archbishop. Although this ceremony and many other traditions have fallen into disuse, the academic structure of the university is still as strong today as it was in the first half of the 15th century when it started out with just ten students. Today the university buildings are spread throughout the city, with a contrast between the modern, hi-tech “University City”, and numerous historical buildings in the old city centre. It offers an attractive portfolio of academic titles and is committed in the creation of a “laboratory” where the ancient Mediterranean culture meets the new technologies, in order to offer advanced training experience. Students wishing to take an undergraduate degree will find their university to be a high quality educational institution. Excellent departments and support services are offered throughout all of their university sites in Catania, Syracuse and Ragusa. Here, students may also discover a culturally dynamic environment suitable for growing as students and individuals as well.